I was standing outside today and suddenly remembered that this week was the anniversary of my blog. Indeed, I started it on September 28, 2005 - nine years ago. That day was a welcome message. My first real post came on September 29th: Staying Humble. It features a four year old David and made me laugh to reread it. Thank you to all of you who have traveled all or part of this journey with me! My adopted daughter's new birth certificate came in the mail today. We had to wait three months after her adoption day to make the request. It wasn't until I was well into this foster/adoptive process that I learned that her new birth certificate would say that I gave birth to her. I read a book in which an adoptive mother was lamenting that the staff where her son was a student treated her poorly. 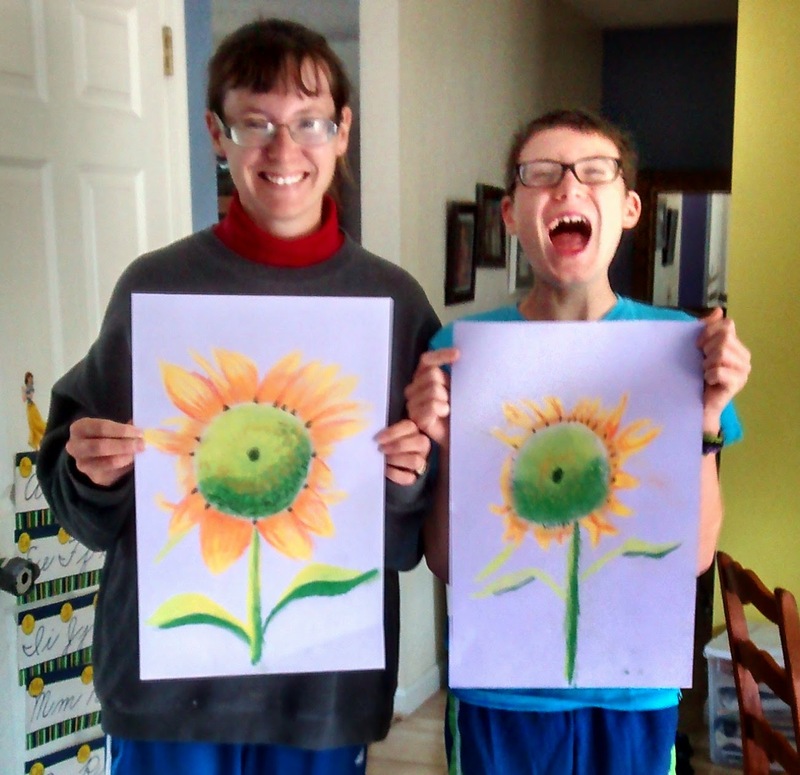 She couldn't understand why until she realized that he suffered from Fetal Alcohol Syndrome and, not knowing he was adopted, they all felt that she was responsible. It was then that I learned that adoption is sometimes referred to as "legal fiction." Somehow, I had always thought that the birth certificate would indicate we were adoptive parents. My daughter is mine in every way that matters. I love her with the same love that I have for my sons. I would die for that little girl. There are days I almost forget that I didn't give birth to her, but that almost is always there. Like most foster adoptions, we have an open adoption. According to the adoption agreement, she gets to see her birth mother at least twice a year. Her birth mother and I have a cordial, if complicated, relationship. She gave my daughter life under very difficult circumstances and and loves and misses her every day. As a biological mother, I can't even imagine that pain. I pray for her every day. Now, legally, she has been erased from my daughter's history. I knew what to expect in that birth certificate and yet there is still something surreal in seeing it in print - that the state of Massachusetts certifies that I gave birth on a day that I can't even remember what I was doing on (I did do two blog posts that day). Not only that, the certificate is dated a few days after my daughter's birth. There is something both beautiful and troubling in this retroactive legal fiction. 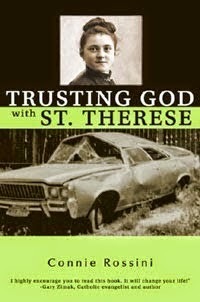 October 1st is the feast day of St. Therese, so I felt it was the perfect time to review this book. In “Trusting God with St. Therese,” Connie Rossini uses examples from the life of St. Therese, one of the most influential and popular saints of the modern era, in order to illustrate “the importance of trust for our spiritual lives.” Rossini also uses events from her own life to help demonstrate her own struggles and growth on her spiritual journey and how St. Therese has helped her. Subjects covered include dealing with childhood tragedies, the influence our earthly fathers have on our image of God the Father, how to retain a childlike simplicity while becoming an adult, how to both wait patiently and cooperate with God, dealing with negative emotions, facing our fears, coping with spiritual darkness, maintaining hope, and preparing for death and judgment. St. Therese is one of my favorite saints and I have read her autobiography and several other books about her, yet I still learned new information about this well-known saint in reading this book. Rossini obviously did a great deal of research and spent considerable time contemplating the message and example of St. Therese in writing this book. It was time well-spent. She speaks with wisdom and offers much advice that will help readers on their own journey to God. “Anyone who ever sins lacks perfect trust in God,” so we all have room for improvement in that area. “Trusting God with St. Therese” provides a wonderful opportunity to learn more about this beloved saint as well as to develop one’s own trust in God. Each chapter includes questions for reflection and practical suggestions to help us grow in trust. Obviously, my goal in homeschooling was not to have my children in college by age 12. Seeing as my younger son is turning 12 soon, if that were the case, I would have failed at this point. 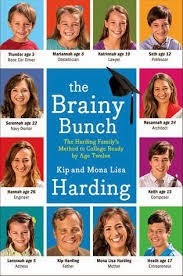 Still, I enjoy reading about different approaches to homeschooling, which is why I picked up The Brainy Bunch: The Harding Family's Method to College Ready by Age Twelve by Kip and Mona Lisa Harding. The family has ten children, are nondenominational Christians, and have homeschooled all of them. Those who are old enough have all started college young - some as young as 10. They've graduated young and started their careers young. Overall, it's a good book. They share their own methods for homeschooling - which is actually quite relaxed. They focus on math and writing and have the children read a great deal in the other subjects. Even though the children didn't have any formal science studies before starting college, they all did fine in lab sciences. I think it is important to note that they didn't just dump their children off at college at a young age. They started them with one or two classes and Mom was usually nearby. The Hardings endorse homeschooling fully and view their job as one of cultivating their children to be all that God has created them to be. Their method has worked for them, and part of homeschooling is respecting others right to homeschool as they choose, and so I support their initiative and results. However, I don't necessarily think that college at 12 is the ideal. I think children learn and grow and mature at different rates. College isn't even the goal for every child. But for children who are motivated and know what they want to do in life, early college is an option (if not at 12, then dual enrollment at 15 or 16). Homeschooling is about different options and thinking about school in a different way. In that light, The Brainy Bunch adds to the conversation. I once again have my neighbor to thank for introducing me to this book. She is apparently on a personal mission to provide me with quality leisure reading! "Look Again" by Lisa Scottoline isn't the type of book I usually read. This is a fast-moving thriller. Ellen Gleeson, a journalist, is the adoptive mother of Will, an active three year old boy. One day, a missing child flyer comes in the mail with the photo of a child who could be Will's twin. Gleeson is haunted by the photo and the possibility that her child might have actually been kidnapped when young. She ultimately decides to search for the truth, aware that the result may force her to make the most difficult decision of her life. I literally did not want to put this book down! I kept turning pages, eager to see how it would all turn out. There were so many plot twists - I was surprised several times. This is an excellent book which makes one wonder what one would do in a similar situation. It includes a Book Club guide. God Gave Us Angels is the latest release in the "God Gave Us . . . " series which started in 2000 and has sold over two million copies. 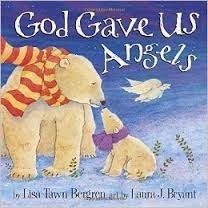 Written by Lisa Tawn Bergren and beautifully illustrated by Laura J. Bryant, it features a young bear cub asking her daddy about angels. He tells her that "Angels live to serve God," and that "Angels can look so much like us, we wouldn't even notice them. That's one reason why we should be nice to everyone we meet, because some might be angels in disguise." This book is from a Christian viewpoint. From a Catholic perspective, one thing I liked was that angels are portrayed as a different species from humans. The daddy makes clear that we don't become angels when we die. Unfortunately, there is also one part that is not in keeping with Catholic tradition. The little bear asks if we should ask angels to help us, and the daddy tells her no, that only God can tell them what to do. As million of Catholics raised on the "Angel of God" prayer can attest, we do ask our guardian angels to help us and watch out for us. Catholics reading this book might want to alter the text of that page a bit if reading it to little ones. Overall, this is a charming book for a little child to learn more about angels. One of the cool things about having teenagers is being able to do grown-up things with them. On Saturday, David and I went to a pastel drawing class at our local library. It was for adults, but I politely asked if a teenager could go and the instructor was OK with it which was great. Taught by Gregory Maichack (http://gregorymaichack.com/) and sponsored by our local cultural council which allowed it to be offered free of charge, it was a wonderful experience. 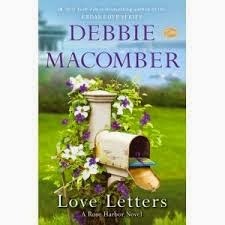 Love Letters is the latest installment in the Rose Harbor series by Debbie Macomber. I eagerly look forward to each book and this one was definitely worth waiting for. One need not have read the prior two books to enjoy this one. Macomber manages to seamlessly weave in backstory to bring her readers quickly up-to-date. In this installment, innkeeper Jo Marie Rose is struggling to figure out her relationship with handyman Mark Taylor while her guests deal with struggles of their own. Maggie and Roy Porter are a couple trying to figure out what to do with a marriage that is falling apart. Ellie Reynolds, against her mother's wishes, has traveled a long way to finally meet Tom, a man she's fallen in love with on-line. This book has more plot twists than Macomber's books usually have and I was kept wondering what would happen. It also has a wonderful pro-life message. An excellent book for those who enjoy love stories! 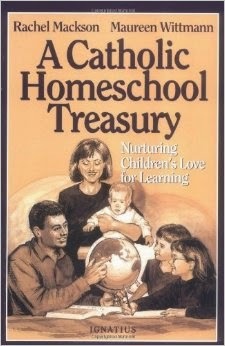 I recently downloaded the Kindle version of A Catholic Homeschool Treasury, not realizing that it was actually a newish edition of a 1999 book. It does appear that the authors updated the resources section, but the majority of the text is from 1999 which means it is a bit dated. That being said, it is still interesting to read this "sampling of how those in the trenches are successfully finding their way through the homeschooling maze." The book features articles by various Catholic homeschool parents, representing different varieties of homeschooling styles as well as different age and size families. They offer successes, failures, and lessons learned. The unifying factor is that "all desire to raise and educate our children within the family. And we wish to share with them the richness and beauty of our Catholic faith." Even as a veteran homeschooler, I did pick up several valuable ideas from this book as well as created a list of resources I want to look into. Perhaps the most valuable tip came from Maureen Wittmann who suggested making a list of the reasons why you homeschool so that you can refer to it when you are discouraged. As an aside, I think it would be interesting to find out what happened to this collection of homeschoolers over the course of the past fifteen years. Two dear friends of mine are running the Life Runner marathon (one is doing a half; one a full) this weekend in Ohio. They are founding members of the local Life Runners Chapter in Western Massachusetts. Please say a prayer that they have a safe trip and race! We believe in the dignity of all human life from conception to natural death. We run as a Prayer, that children in the womb may be protected, so that they may be born and welcomed into the Christian community by baptism. We run for Awareness, that the eyes of all people may be transformed and see every human life as a reflection of Your glory Lord. We run for Charity, to provide Truth for mothers and fathers tempted to about their child . . . and healing support for post-abortive women, men, and families. We run to End abortion, for Christ has destroyed the power of death, and therefore the power of abortion. Guard us all, born and unborn, with your Peace, Lord. For in You, life is victorious. We pray and run in Your name, Jesus Christ our Lord. Amen. I am a daughter of aging parents. While I don’t know the day or the hour, I know that the time is coming when I will need to walk with them on their final journey home. Death is part of life, and as a Catholic, I understand that it is the doorway to a different level of existence. Yet I fear all that may come before, and the grieving that will come after. I do not know how heavy the cross will be; only that God will be there in the pain and suffering. 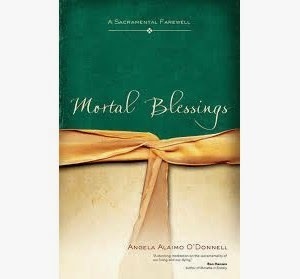 It is from that perspective that I read Mortal Blessings by Angela Alaimo O’Donnell, a record of the last forty-eight days of her mother’s life and the grieving process that came after. O’Donnell’s memoir moves from the particular to the universal. She shares the unique aspects of her own relationship with her mother, the imperfections of their lives. She writes of the circumstances of her mother’s final illness and the way that her family coped with this transitional time. Yet, despite those individual details, the story is one that many will relate to. How many of us women have challenging relationships with our mothers? How many have had to become the caregiver to the one who once cared for us? In many ways in these moments, it was the small things that matter: the kindness of a nurse who treated her mother with respect; trying to communicate for someone who couldn’t speak for themselves; her sister doing her mother’s hair and nails to help her feel beautiful; finding moments to laugh; being able to reach out to people on the phone; and simply being present in her mother’s hour of need. Mortal Blessings offers much to think about. While the writing of this book was part of the healing process for O’Donnell, she has done the rest of us a service in allowing us into these dark, yet grace-filled, days of her life. 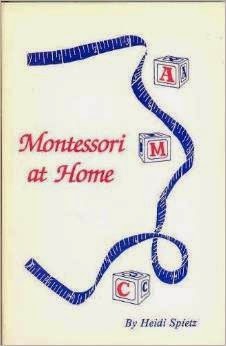 "Montessori at Home" is an older book you might want to find in your local library system if you are interesting in using Montessori methods in your homeschool. 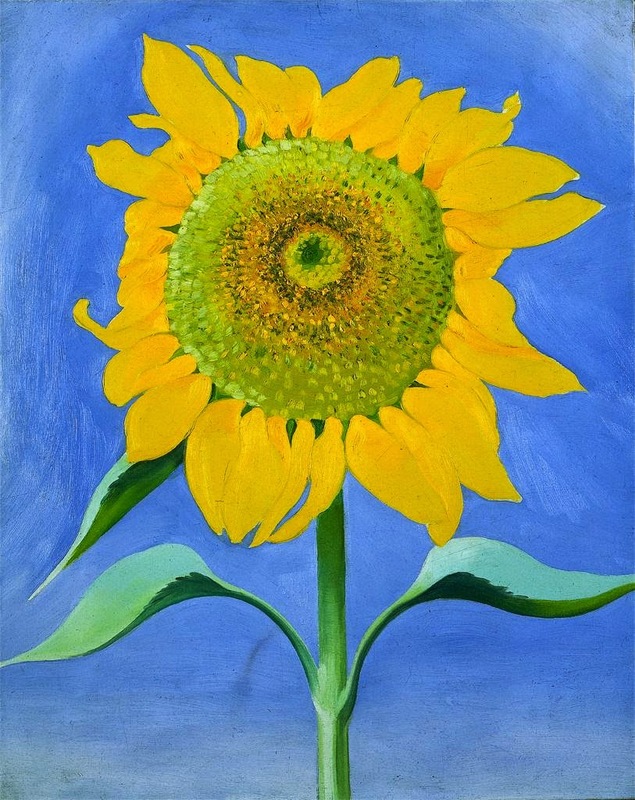 Heidi Anne Spietz offers a review of the basic tenets of a Montessori education, then offers very concrete examples of how to carry out such an education for children from ages three to six. She provides ways to make Montessori materials, integrate practical life skills, observe the world, and teach numbers, letters, shapes and geography. This is a very useful book for those homeschooling a preschooler! The September 2014 issue of St. Anthony Messenger featured an article on Catholic artist Stephen B. Whatley. His art is so vibrant and unique. In his 40s, he converted to the Catholic faith and shares, "I totally depend on God and prayer. At the beginning of any painting, there's this enormous buildup. I . . . am rendered powerless. We're so often told in Scripture that fear is negative and that we should have no fear if we trust in God - but it seems a necessary part of my creative process. Through that fear, I am divinely pushed to look to God for direction. I am at the foot of the cross, with my head completely bowed. That is [my] personal journey." Homeschooling truly starts at birth, but because I now have a preschooler who according to society's expectations should be at school, I've been researching Montessori methods, hoping to find ways to incorporate some of that thought and process into our homeschool experience. 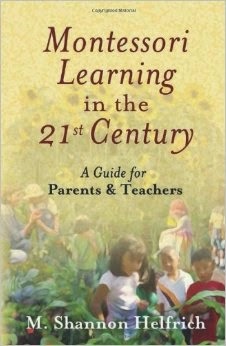 "Montessori Learning in the 21st Century" by Shannon Helfrich was very interesting, but not what I was looking for. Helfrich, a Montesorri teacher trainer, examiner and consultant, offers a very good argument for Montessori style learning. She discusses Maria Montessori, her motivation, and her methods as well as explores child development, sensory learning, and language acquisition. This is a book primarily about theory and as such it is intelligent and informative. Chapter Eleven, "This is my Montessori School" is the only one to offer concrete ideas about how to implement Montessori-style methods, but even that is not a how-to manual. If you are looking for the theory and educational basis behind a Montessori education, this is the book for you. If you are searching for a practical how-to guide, search elsewhere. 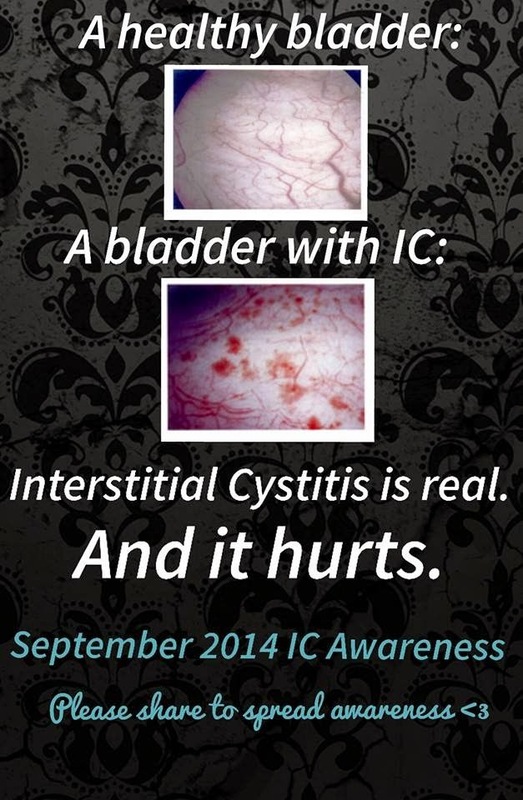 September is Interstitial Cystitis Awareness Month. 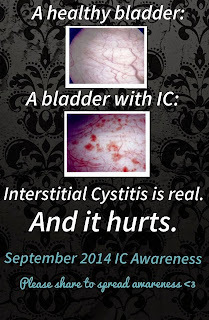 Interstitial Cystitis is a medical condition that causes intense bladder pain and urgency. It's not something I've ever talked about publicly, but it is a condition that I have suffered from for over 10 years. I'm one of the lucky ones. I was diagnosed within a few months of starting with symptoms and daily medication and a restricted diet helps me. Most of the time, I live with a mild case of symptoms. I know it is there, but I can maintain my daily life. I have periodic flare-ups, often brought on by stress or an accidental ingestion of some food I'm not supposed to eat, that are truly incredibly painful and debilitating. I hope and pray that I don't ever reach the point where that is my constant state of being. 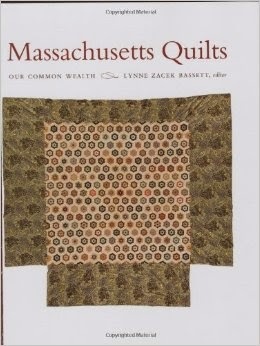 Massachusetts Quilts : Our Common Wealth, edited by Lynne Zacek Basset is "the definitive treasury of Massachusetts' historic quilts and a glorious tribute to the creative spirit of their makers and the times." The amount of work that went into creating this scholarly tome is truly staggering. The project began in 1994 and would culminate 15 years later in the publication of this book. Six thousand quilts dated prior to 1950 were documented by volunteers. Divided into three parts, "history," "community," and "memory," the book examines the history of quilting in Massachusetts in its various geographical areas, looks at quilting as a community exercise, and includes quilts made to offer tribute to a particular person, event, or group. The photographs in Massachusetts Quilts make this book a feast for the eyes. While it cannot compare to seeing the quilts in person, this is the next best thing. Any quilter, social historian, or woman's studies scholar will appreciate this book. It has much to offer from both an artistic and historic perspective. 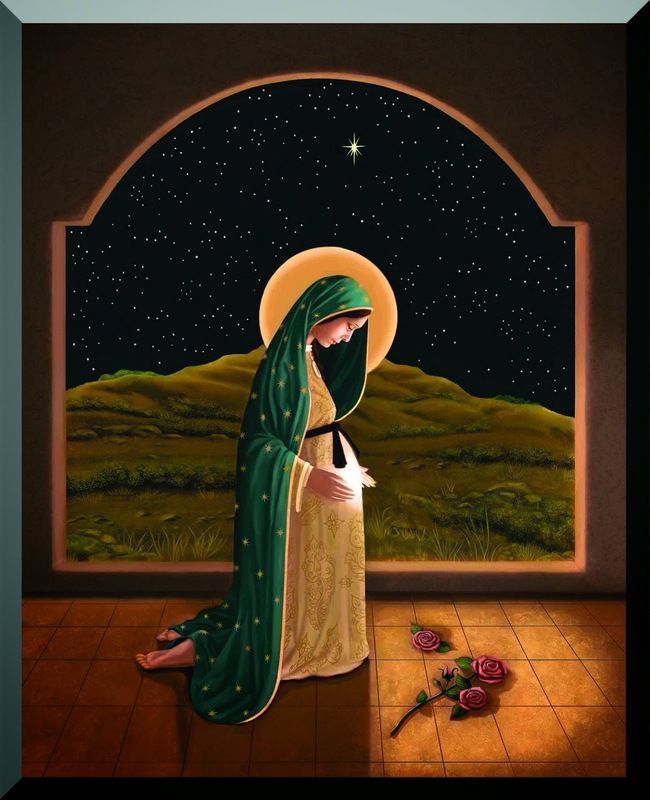 Everything is a grace, everything is the direct effect of our Father's love - difficulties, contradictions, humiliations, all the soul's miseries, her burdens, her needs - everything, because through them, she learns humility, realizes her weakness. Everything is a grace because everything is God's gift. Whatever be the character of life or its unexpected events - to the heart that loves, all is well. Sacred Fire: Practicing Devotion to the Heart of Jesus by Philip Michael Bulman offers both a history and a how-to manual of the Sacred Heart Devotion. In Part One, Bulman examines the major apparitions and mystical experiences related to the Sacred Heart of Jesus, beginning with St. Gertrude the Great, St. Margaret Mary Alacoque, St. Teresa Margaret of the Sacred Heart of Jesus, and then moving on to the devotion of St. Therese of the Child Jesus, St. Teresa of the Andes, and St. Faustina. He also discusses St. Pope John Paul II’s role in promoting the devotion to Divine Mercy, which is an important part of the devotion to the Sacred Heart. 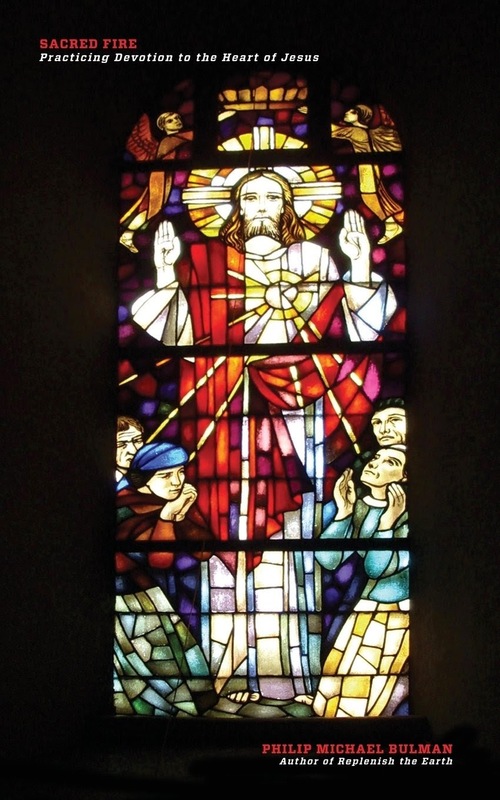 Part Two focuses on elements of the Sacred Heart devotion. The first is the Eucharist, which is “one of the primary means Jesus uses to pour out the treasures of His Sacred Heart on humanity.” Bulman also explains the importance of adoration of the Blessed Sacrament. The Litany of the Sacred Heart, which was approved by Pope Leo XIII in 1899, is examined in great detail. The scriptural roots for all thirty-three invocations are provided. 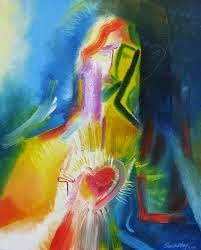 Ways to offer reparation to the Sacred Heart of Jesus are also discussed, as are the promises of the Sacred Heart. Sacred Fire is an extremely informative book. Even one familiar with the devotion and its practices will learn more in these pages. Bulman has put together a very organized, thorough treatment of the subject that will inspire increased devotion to the Sacred Heart.